Suggesting there are only three crucial questions a leader needs to ask people every day risks trivializing leadership. However, I’ve concluded that getting to the other side of a complicated topic with simple, elegant ideas that a leader can actually put into practice is worth the risk. 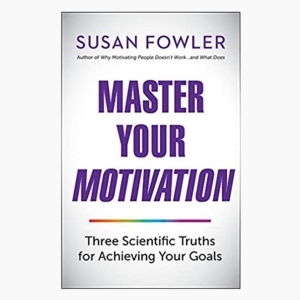 That’s why I’m attempting the challenge of distilling 25 years of studying, researching, and teaching motivation science into three crucial questions leaders need to ask daily. I shared those three questions in my previous post—in hopes that daring leaders might give them a try. What did you learn today that will help you be better tomorrow? As I provide rationale and tips on these questions, I hope it will take away any hesitation you might have in asking them. What makes this question so crucial—and potent? When you remind people that they are making choices every day, you tap into their psychological need for autonomy. Reflecting on my career’s high and low points, I realize the role autonomy has played in shaping them. I will never forget the thrill of being hired by the most respected advertising agency in Denver to work on their new account, a fledging tea company in Boulder Colorado called Celestial Seasonings. Coming from a small yet highly productive agency, I was young, but not inexperienced. After just a few weeks, I became convinced my new agency could use more structure. I announced: “I want to institute a new project management system and work flow.” There was a pause before Chuck, the owner, thoughtfully responded with: “Susan, let me tell you what we’ve tried in the past and why I think we failed. Then, if you still believe you can work on your ideas while managing your accounts, you have my blessing and support if you choose to pursue it.” I listened and concluded that I could successfully implement my plans. After 6 months, we had minor improvements, but overall, my ideas failed to make the agency more productive or organized. There was a reason this agency had won Clio awards for creativity, held on to devoted clients, and continued to gain new ones. Through his leadership, Chuck had created a culture where people’s autonomy was nurtured. For example, Chuck could have easily told me from the beginning: “Been there, done that. Your plan won’t work.” Instead, he provided information, illuminated boundaries, and gave me the choice of whether to move forward or not. He allowed me the autonomy to take a risk that might result in new innovation. Had he shut me down, I would have gone to my grave resentful of a work environment I thought I could improve. In the end, I chose to pull the plug on my plans. I came to appreciate the company’s culture and understand how my ideas handcuffed the autonomy that contributed to the agency’s success. I didn’t feel beaten, frustrated, or belittled. I had learned a lot. Many years after my advertising career, this is why I still recall Chuck Bartholomew as one of the best bosses I ever had. Did you enter your activities into SalesForce? What did you choose to enter into SalesForce today? What worked for you today? Looking back over the day, what would you choose to do differently in the future? 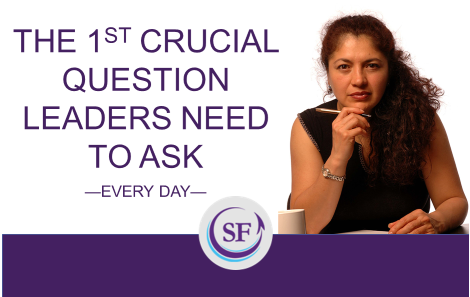 Are you willing to try asking different questions to stimulate a person’s sense of autonomy at work? 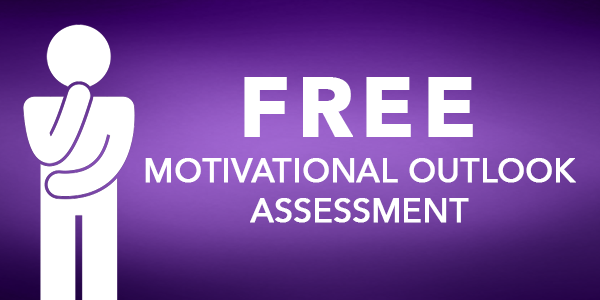 If so, would you be willing to share your questions with us—and how you and your staff member felt about your effort? In my next post, I’ll share your responses and explore the second crucial question.